Knowledge of Jenkin tools required to build and automate and optimize this workflow to create reproducible predictable environments. Setup, integrate, and maintain tools. Setting up tools to monitor systems and operations health, performance data for Visualization. Knowledge on Log Management: Setting up tools to centrally collect and manage logs. Troubleshooting and Support of the applications. Knowledge on End to End CI and CD for applications. Knowledge and Understanding of Agile Methodologies. 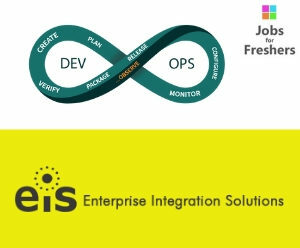 Founded in 2001, EIS Technologies (EIS) is an Oracle Platinum Partner and dedicated to empowering our clients and employees through success-oriented services and technologically advanced software solutions. Capabilities include both a broad range of professional services and “Oracle Validated Integration” certified business analytics and reporting products. The solution offers over 1300 pre-built reports enabling actionable intelligence. The EiS Professional Services team of certified specialists leverage deep knowledge that spans Oracle’s full suite of products: Cloud Services, Fusion Middleware, Taleo, PeopleSoft, E-Business Suite and more.